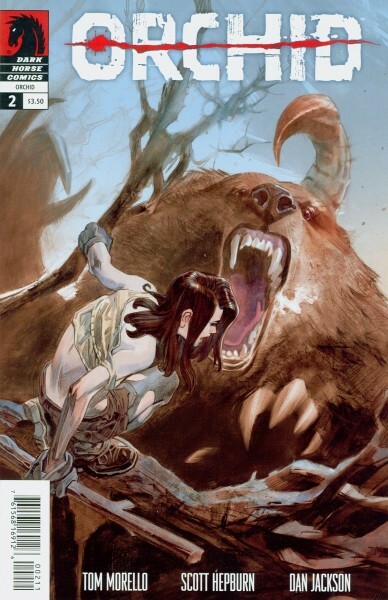 I’m enjoying this new series from Dark Horse Comics enough to make it 2 for 2 on the Hit List. The art of Scott Hepburn is sharp and stylish and his storytelling chops are a great compliment to Tom Morello, who continues to find his way in the visual medium of comics. Unlike Elephantmen above, the world-building in Orchid is spelled out more overtly, but it’s still intriguing and the voices of the characters are distinct and compelling. What really lands this book back on the Hit List, though, are the free music downloads offered with each issue. A visit to nightwatchmanmusic.com offers up a free track (when you enter a code found in the back of the book) that serves as an audio score for the issue. It’s a cool concept and a great way for Morello to get fans of his music interested in comics. Much as I’d hoped to, I didn’t love this issue, but I liked it enough to talk about it here. 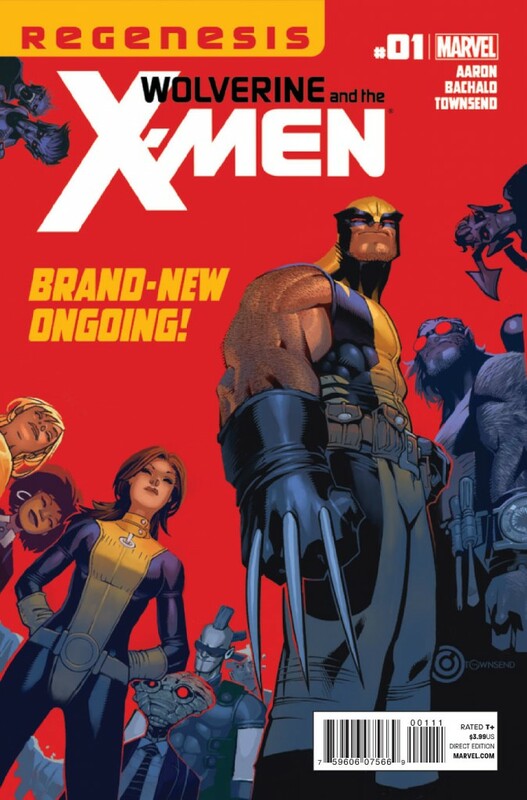 The new post-Schism X-book takes us to the newly-reformed Westchester school under the tutelage of Headmaster Logan, Headmistress Kitty Pryde and in the capable writing hands of Jason Aaron. The return to the school is welcome and long overdue. The school aspect of X-Men is one I’ve always loved and, as I mentioned on Facebook, I thought renaming the school after Jean Grey with the tagline “the best there is at what we do” was a pitch-perfect detail. What I didn’t like about this book is also its best quality. It’s light-hearted. The focus is on the characters and there’s more yucks than there are snikts. Let’s face it, some levity is welcome in the X-books which have been mired in desperate times since Grant Morrisson’s run. I enjoy the soap opera-esque aspect of the X-Men but I’d hate to see this become a full-on joke book. Ultimately, I love Wolverine and I love the X-Men, so I’ll keep the jury out on this one, at least until the first baseball game is cancelled on account of Sentinel attack. As you can tell from my first 2 selections (along with many mentions on the podcast), I love me some dystopian future post-apocalyptic sci-fi. 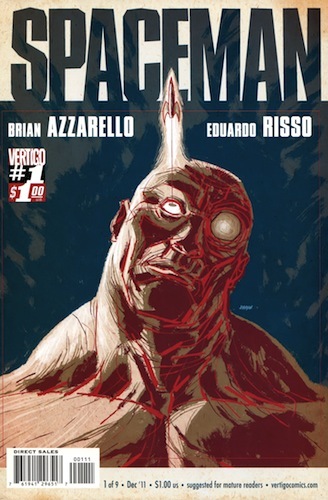 So that, along with the proven track record of Brian Azzarello and Eduardo Risso (100 Bullets, Batman: Broken City) gave me high hopes for this new Vertigo series. But if there’s one thing that can turn me off faster than a superflu spreads, it’s made-up future slang. I don’t care if you’re fraking Joss Whedon or blue-hot Alan Moore, it just don’t shiv! From what I could discern, this story of caveman-like creatures genetically engineered for space travel to save a dying planet had some potential. But the copious dialogue, spoken entirely in made up sci-fi dialect, turned it into a confusing indecipherable mess. If you’re planning to give this one a try, be sure to pack your decoder ring.